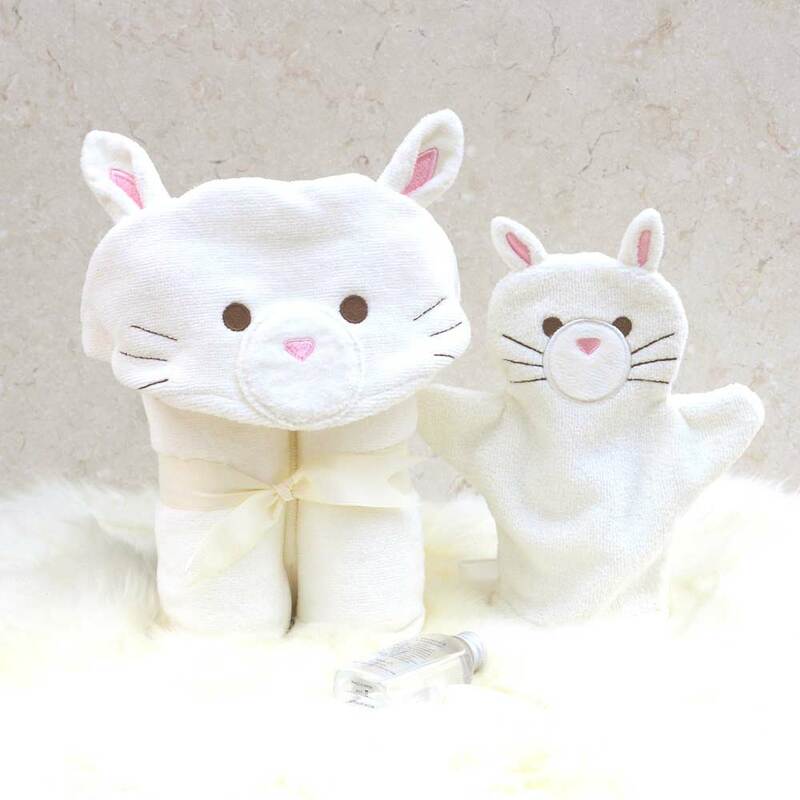 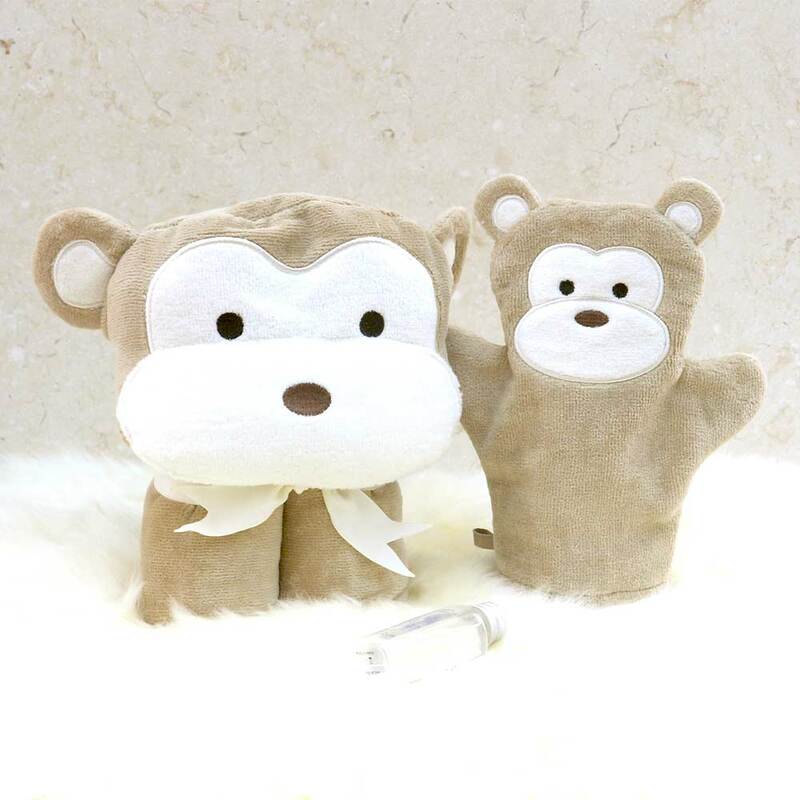 Each of our Gift Set comes with a luxurious Baby Bath Towel and a matching Baby Bath Mitt. 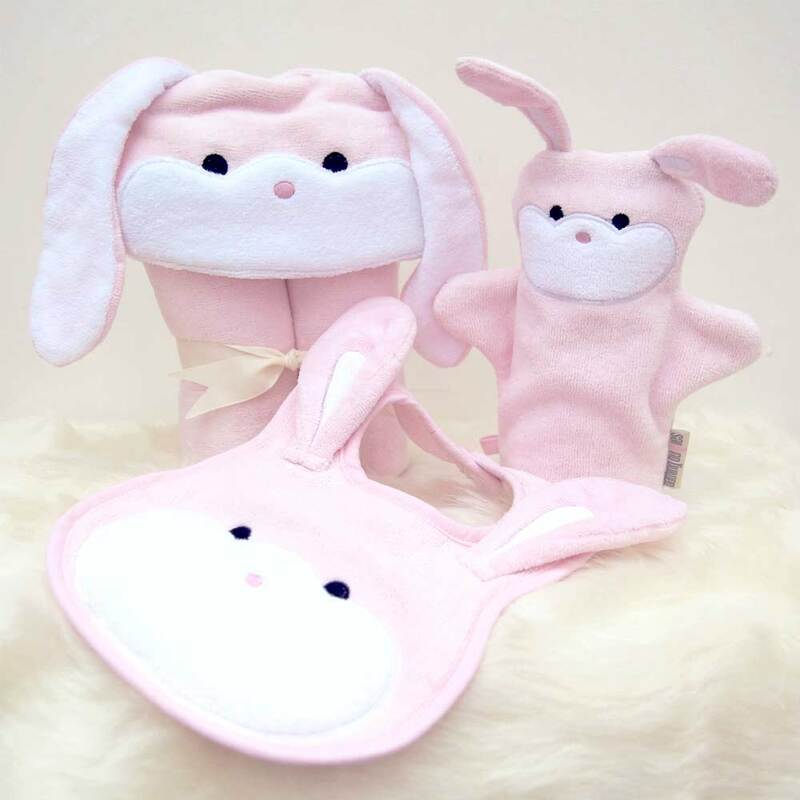 Some also come with a matching bib. 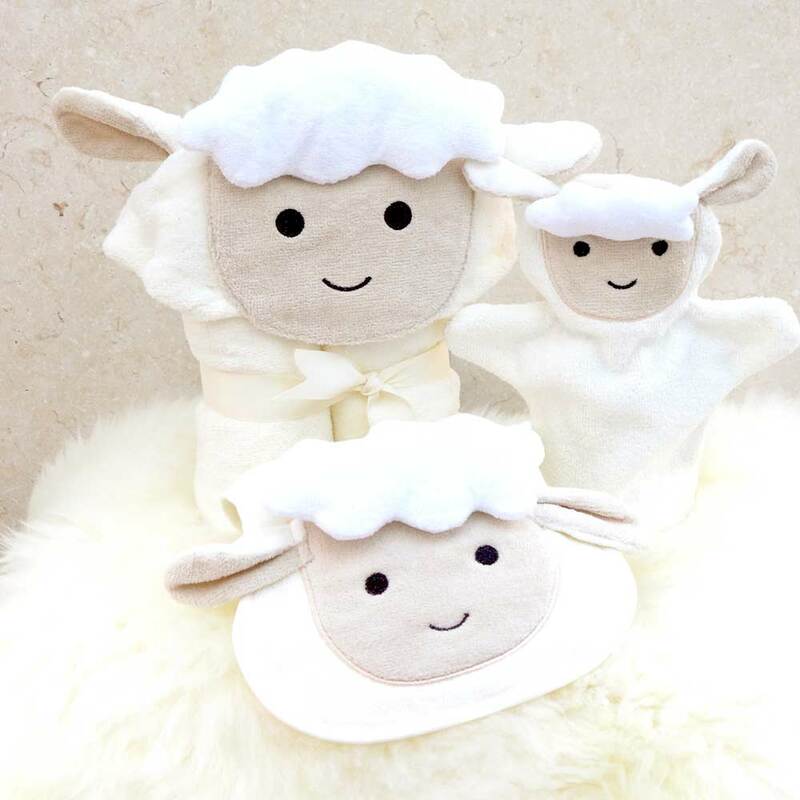 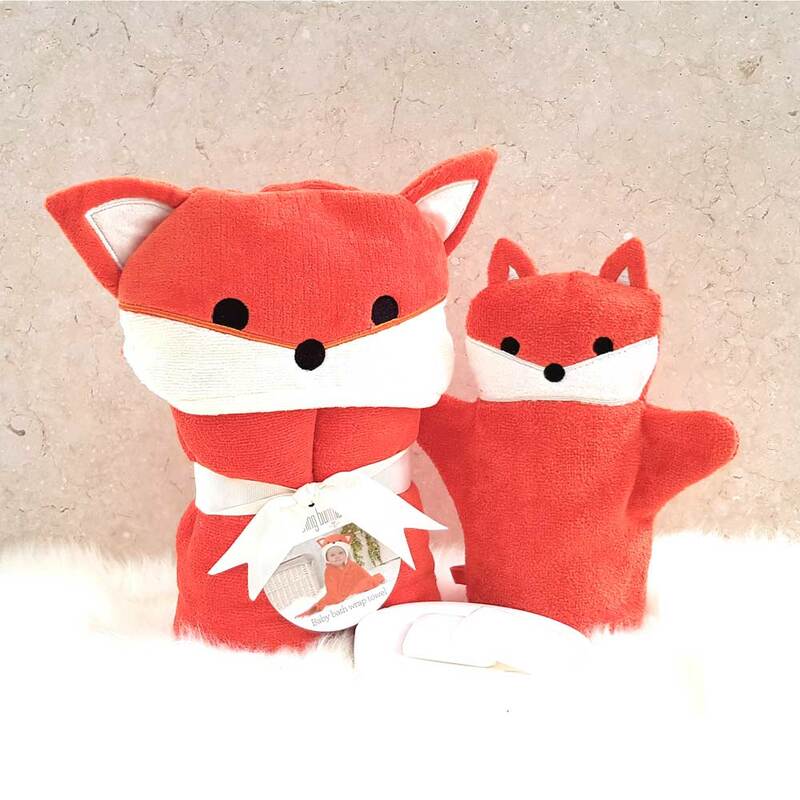 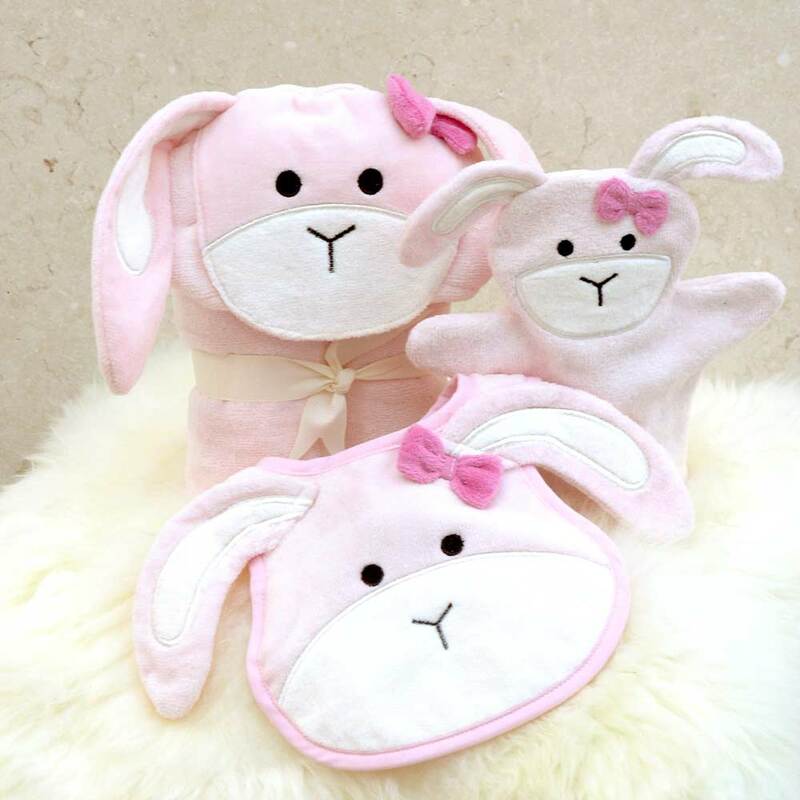 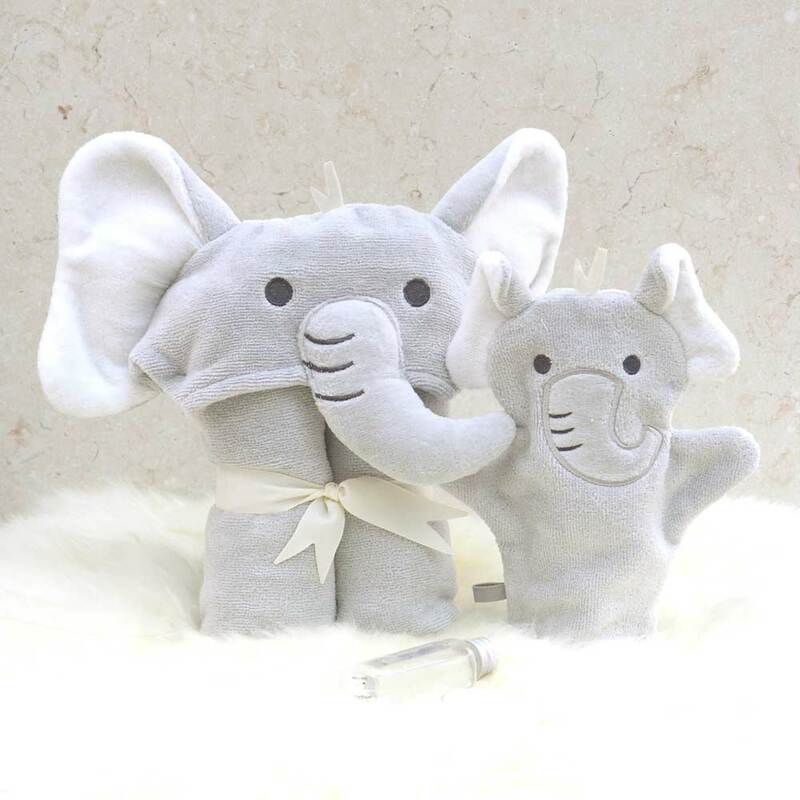 They make the perfect baby shower presents and new-born baby gifts for christenings, birthdays and Christmas. 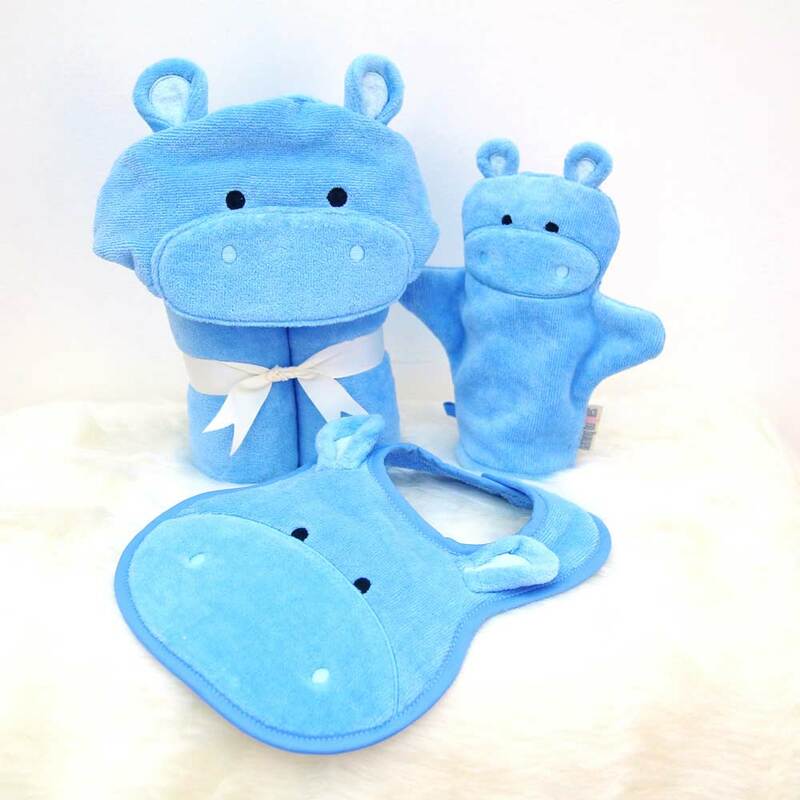 Designed for little ones from newborn to the age of one, the baby towel in this gift set is ideal for trips to the beach or swimming pool as well as snuggling in at bath time. 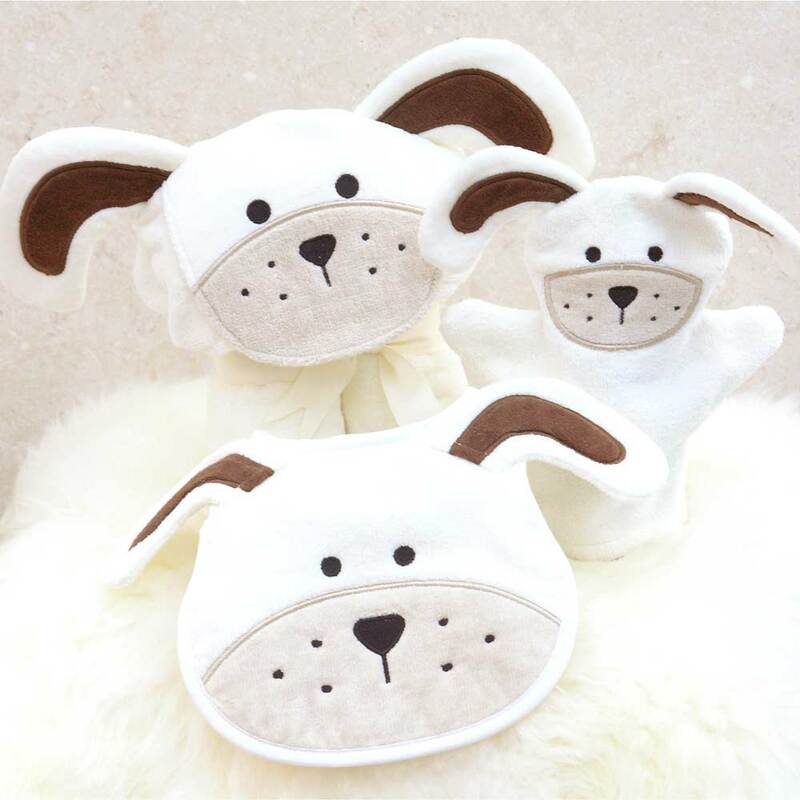 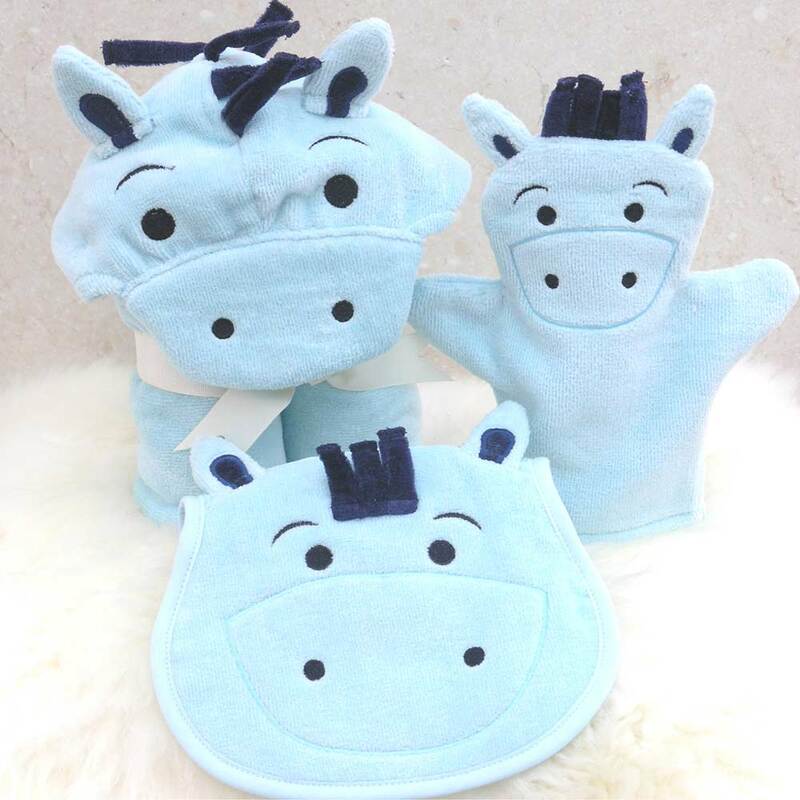 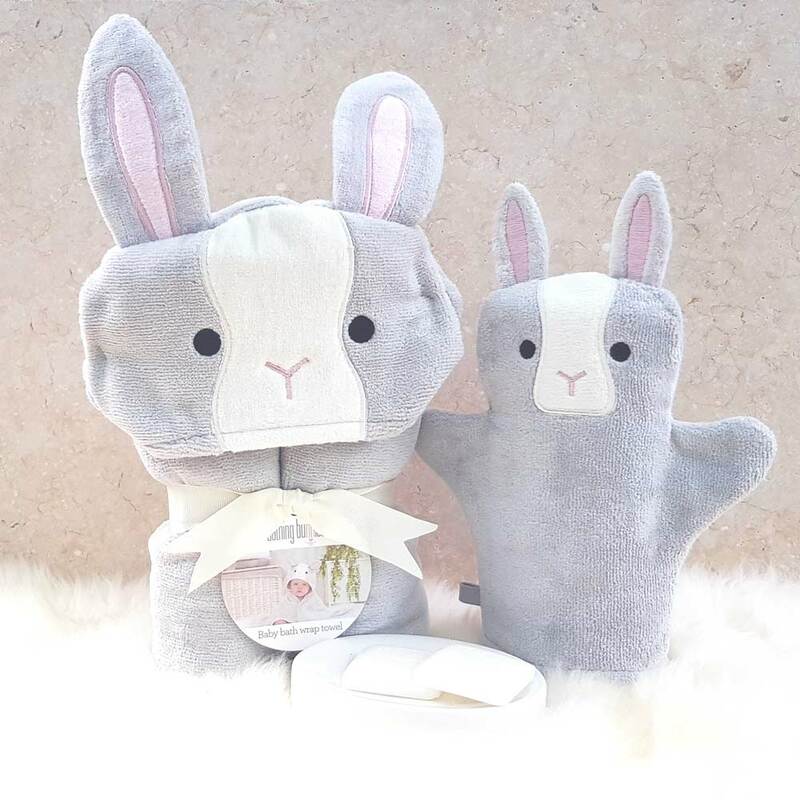 For a really special touch, you can personalise the Baby Hooded Towel in this Gift Set with your choice of name beautifully embroidered on the back. 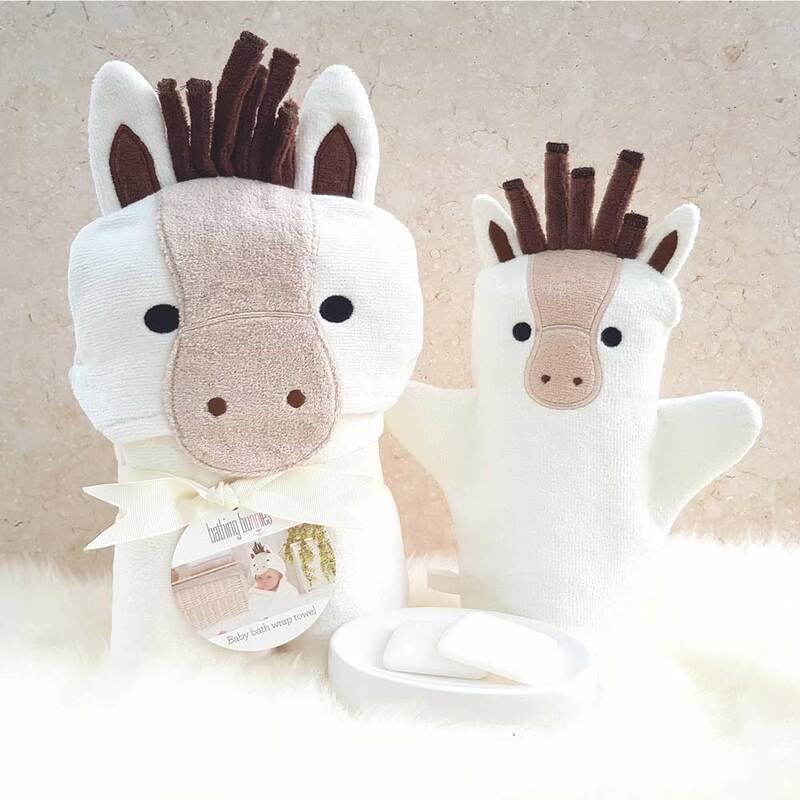 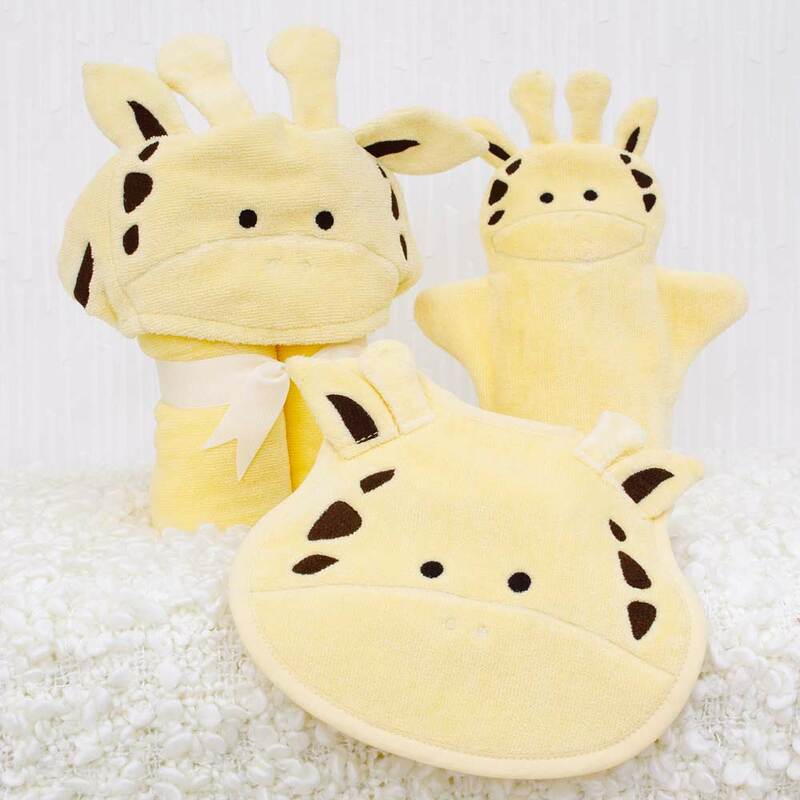 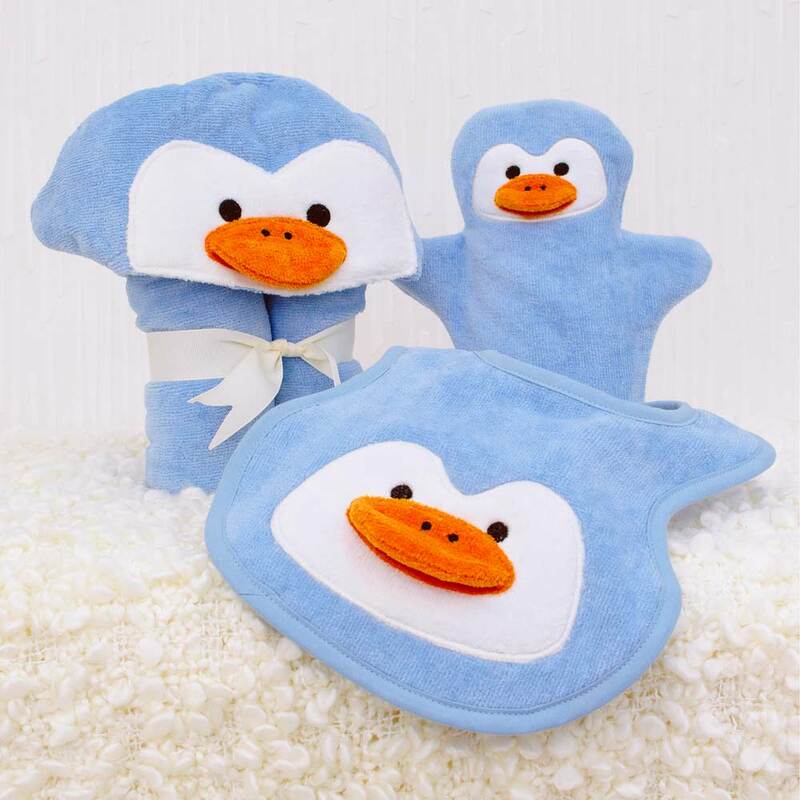 All the items in our Baby Towel Gift Sets use the finest soft and super-absorbent 100% cotton terry toweling which stay plush and snuggly wash after wash.